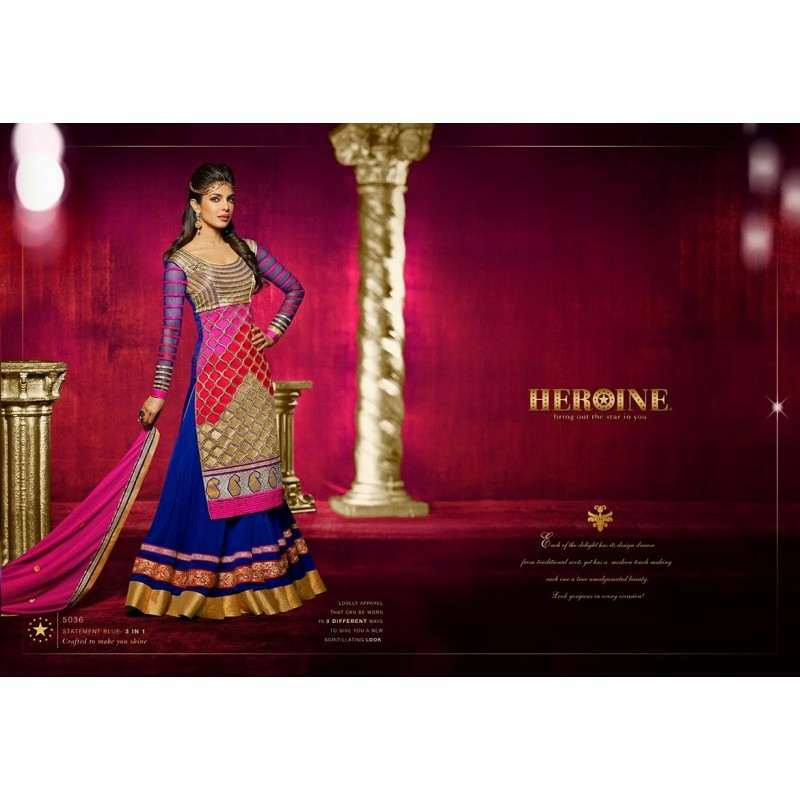 An appealing Long Indian Dress in Royal blue and Pink georgette semi stitched anarkali style kameez designed with Embroidered zari, stone, sequins, work and patch border work. Available with shantoon churidar,sleeves fabric and matching bordered chiffon dupatta. Extra fabric is given as the lining of the kameez. Give yourself stunning look with these new and unique desiner dresses to fulfill your every desire and need.